Siding is an extremely important aspect of your home. It helps your home meet your aesthetic vision with different siding materials, colors, and styles. But it also provides an important protective service for your home, protection your home from the elements. This is especially important with Schaumburg’s inclement weather varying from extreme heat to rain, wind, hail, snow, and more. Damaged or improperly installed siding can spell disaster for your home’s structural integrity and utility bills. So why choose Chicagoland Roofing Companies to install or repair your siding? We are glad you asked! At Chicagoland Roofing Companies, we hire only the most trusted and highly skilled contractors in Chicagoland. When you employ our services, you know you will be getting the best possible services. We have years of experience with both siding installation and siding repair. This means we have seen and done it all. There is not a siding problem we can’t fix or a job we can’t complete. 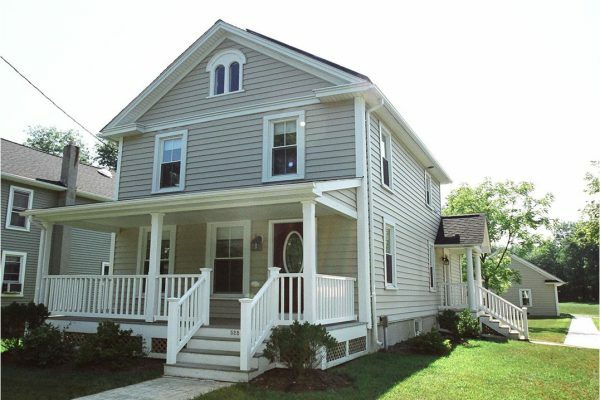 We also offer one of the widest ranges of siding materials in the greater Chicagoland area. If you have an idea of how you want your siding to look, we will do our best to match that vision. We carry various siding materials such as vinyl, aluminum, shakes, and more. These each come in a variety of colors. Don’t know what you want? That’s fine, too. We’ll help you get those decisions made. That’s why we’re the experts. We perform our installation and repair jobs quickly and efficiently. Our rates are extremely competitive. Do you have questions about our products or our services? Give us a call. We’re happy to help. Come see why Chicagoland Roofing Companies is considered one of the most highly respected siding contractors in Schaumburg.